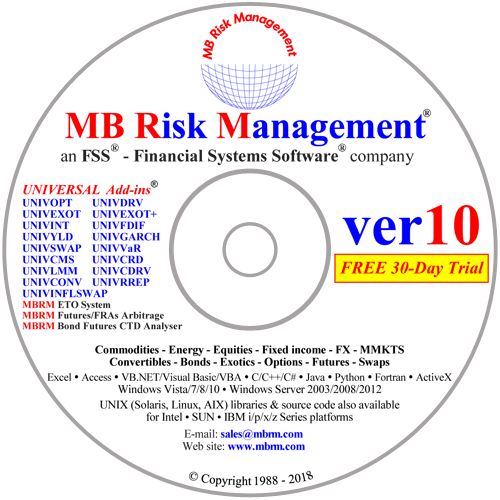 This is an optional add-in for users of our Universal Swap Add-in who require the pricing and risk management of Constant Maturity Swaps (CMS) and/or European, Bermudan and American style options on Bonds or Swaptions. 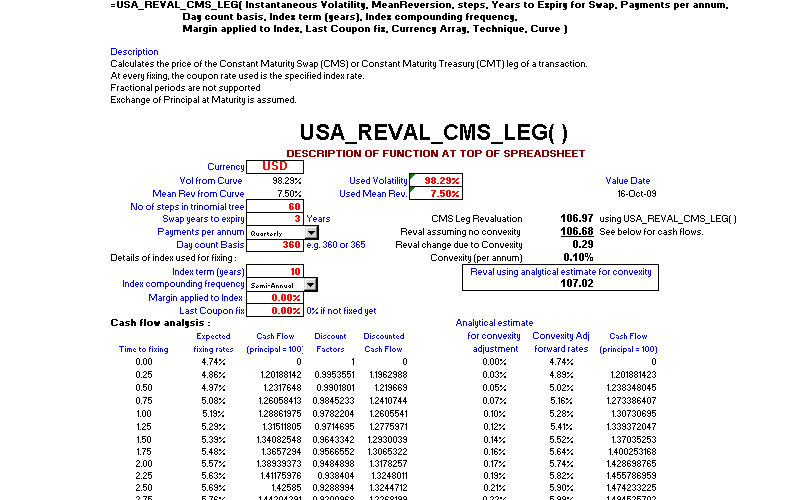 Analyses multi-callable amortizing swaps and bonds, including passing in a Constant Elasticity of Variance (CEV) and full Swaption Volatility grid directly to BDT/BK pricing model. Also handles CMS Quanto Caps, Collars, Floors and Corridors. 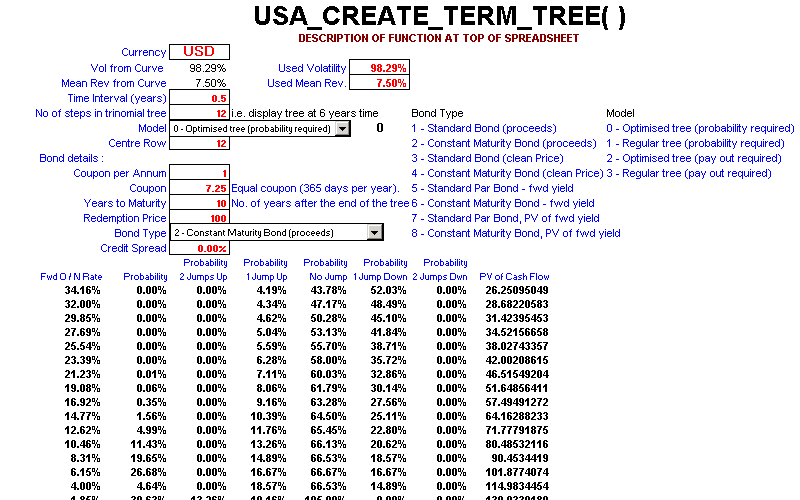 The approach used is based on the Black-Derman-Toy (BDT) and/or extended Vasicek (Hull-White) interest rate models for implementation of a No-Arbitrage term structure model for interest rates (with mean reversion), and utilises a balanced trinomial tree for increased accuracy. 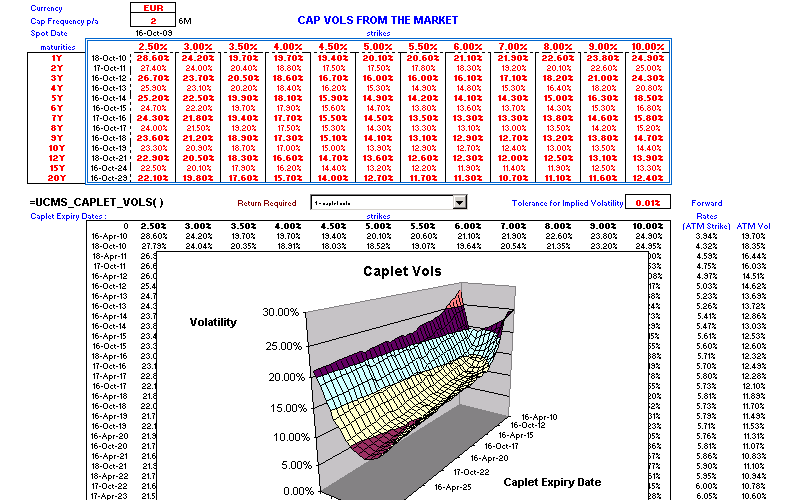 Market standard calculation of swaption prices AND SENSITIVITIES assuming constant "black" volatility are also implemented using a single function call. 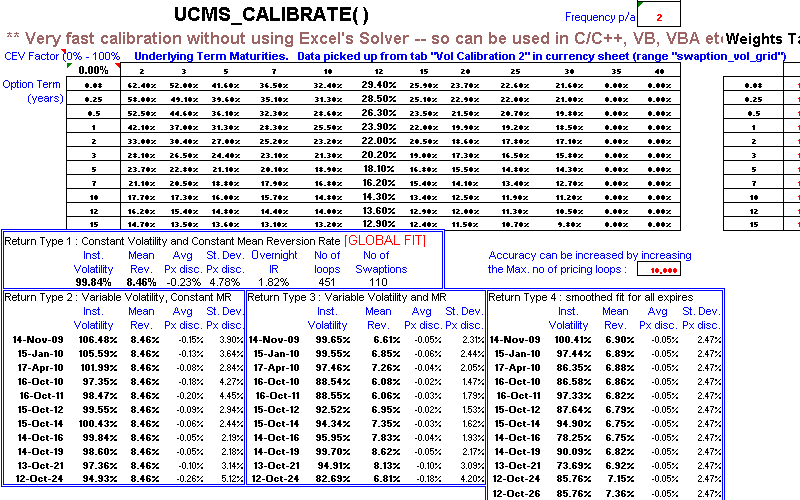 UNIVCMS also implements a very fast calibration of extended Vasicek (Hull-White) volatility and Mean Reversion term structures without using Excel's Solver. The UNIVCMS - Universal CMS & Swaptions Add-in requires UNIVSWAP - Universal Swap Add-in. CLICK HERE to see our latest Price List.